Top 8 Different Types Of Yoga: Which is Best For You? You might have a solid strength and cardio program, you might pay attention to your diet and eat clean, but do you take time to work on your mobility or balance? 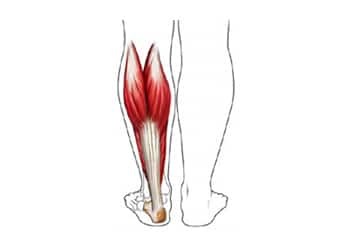 Mobility (flexibility) training and balance are important aspects of fitness that are often under-appreciated and neglected. As we age, we lose both flexibility and balance.1 Improving your mobility can have significant benefits for your posture, lifting form, and strength, all while reducing injuries. One of the best ways to improve your mobility, core strength, and balance is Yoga.2 Because there are a number of different types of yoga, it helps to know a little bit about each before deciding what type of yoga 3 works best for you and your training program. If you see Hatha Yoga on a class schedule, it means you’ll find a slower-paced class with little-to-no “flow” between poses. It’s a gentle class that’s perfect for beginners or the after-work yogi looking to wind-down. Here, you’ll learn basic postures, breath work, relaxation techniques, and meditation. This style of yoga links movement with the breath, creating flowing postures that smoothly transition from one to the next. In Sanskrit, the word “vinyasa” means “connection.” Each movement connects with either an inhale or an exhale. You can expect to move through a few sun salutations, warrior poses, balancing poses, back bends, and seated stretches. Each class ends in savasana, which is the final relaxation pose. There is no strict format or sequence of poses in a vinyasa class, allowing for more creativity on the part of the teacher. Some classes are more spiritual, incorporating breath work, chanting and meditation, while others are more athletically-oriented. It depends on the instructor, so if one class doesn’t suit you, try a different instructor. Depending on the level, Vinyasa yoga can be gentle or rigorous. If you’re a beginner, look for a gentle flow or a level 1 class. Learn the basics before moving on to more advanced classes (level 2 or higher). If you enjoy a more structured, powerful practice that focuses on mastery of poses and progression to more advanced levels, this could be a great style of yoga for you. A typical class starts with a life lesson or intention, chanting, and breath awareness. It moves on to flowing vinyasa sequences and ends with relaxation & meditation. If you’re looking for a style of yoga that offers spiritual and meditative elements as well as physical benefits, Jivamukti could be perfect. Kundalini is much more spiritual and meditative than other styles of yoga. It emphasizes breathing, chanting, meditation, and hand gestures (mudras). Although this class often involves more sitting than other styles, it is still physically demanding. This class offer both physical and mental challenges, as well as spiritual and meditative elements. As this practice is slower-paced, it makes use of a lot of props and is usually performed in a room heated to 80-90F. The heat enables the muscles to expand, becoming more elastic, which is important when holding poses for 3-5 minutes. Holding poses for longer periods of time challenges patience and the mind, bringing attention to the breath in a meditative way. You won’t find much flowing movement here, so Yin is great for individuals interested in a deeper stretch and a more relaxing class. I hope this overview of the principles & basic practice of these different types of yoga help you decide which is the best for you to practice, or for those who practice certain types already, it inspires you to give a few more a try. I’ve not ventured into the world of yoga – yet, but I do Pilates once a week. I’m as flexible as a twig and need all the help I can get! Interesting to know what the different types of Yoga offer though. The Hatha Yoga looks like a good starting point. 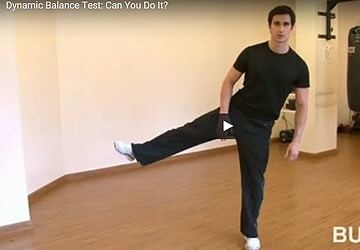 15-Second Dynamic Balance Test: Do You Pass?